When you have psoriasis, it’s important to follow the advice of your doctor. Still, you can do a lot on your own to help control and prevent flare-ups. Use moisturizing lotions. Symptoms get worse when your skin is dry, so keep it moist with creams and lotions. Thick and oily ones, like petroleum jelly, are usually best. They’re better at trapping moisture beneath the skin. To help remove scales, apply cream on top of them, then cover the area with plastic wrap or another waterproof material. Leave it on for a few hours, then remove. Take care of your skin and scalp. Be careful with your skin. 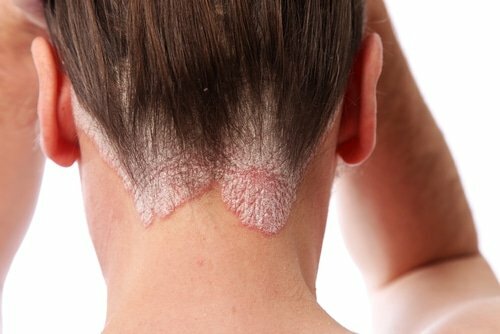 Never pick at patches or scales, as you may make your psoriasis worse. Use caution when trimming your nails. If you cut yourself, it might make symptoms flare. If you have psoriasis on your scalp, rub your topical treatments — such as tar shampoos — into your scalp. Regular bathing with soothing products, such as tar solutions, may bring relief, too. If you’re using any of these medications, ask your doctor about substitutes. Avoid scrapes, cuts, bumps, and infections. It’s extra important for people with psoriasis to avoid bumps and cuts. Trauma to the skin can cause a flare, a condition called “Koebner’s phenomenon.” Infections can also cause problems. Be especially careful when shaving. Avoid acupuncture, tattoos, and do your best to prevent insect bites and chafing. Zap stress. Although it hasn’t been proven, many people link flare-ups to stress. So, try to relieve your anxiety. That may be easier said than done, but you can try relaxation techniques like meditation or yoga, for starters. Watch how much alcohol you drink. The connection between alcohol and psoriasis isn’t clear, but some think it can worsen symptoms, especially in men. Alcohol can be dangerous if you’re using certain psoriasis drugs, so check with your doctor. Exercise, eat right, and maintain a healthy weight. Although no studies have shown a link between diet and psoriasis, experts recommend that people with the condition eat a well-balanced diet that’s high in fruits and vegetables. Some people say their symptoms improve when they remove dairy or gluten. Exercise may also help. Some studies show excess weight can trigger flares, so stay at a healthy weight.